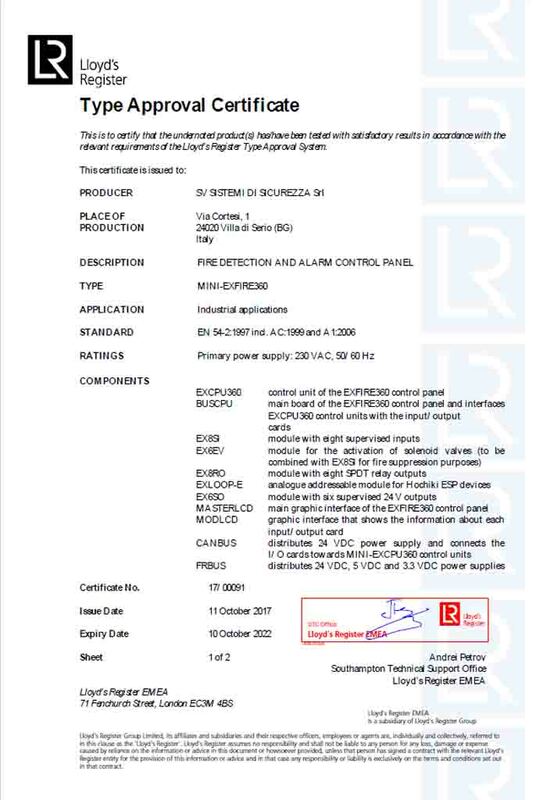 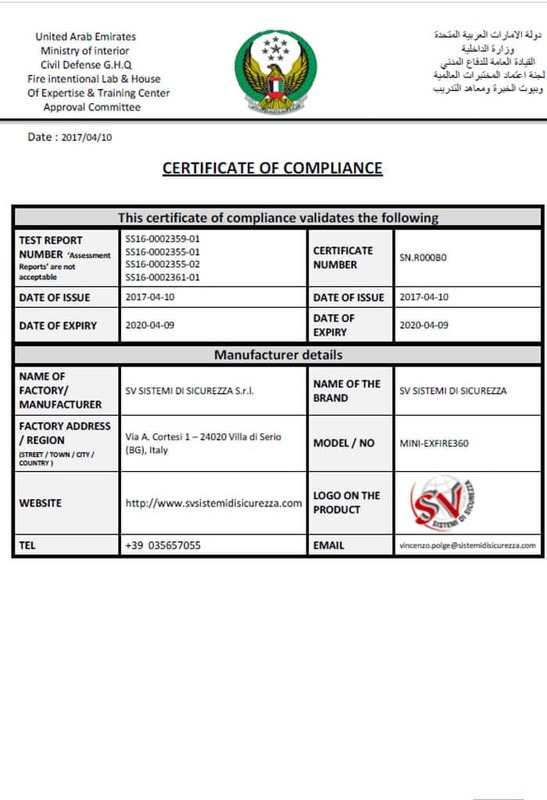 SV is a manufacturer of fire & gas detection and extinguishing systems, which are patented and approved according to EN54-2, EN54-4, en12094-1, EN60079-29-1, IEC61508, GOST EAC, CPR, ATEX. 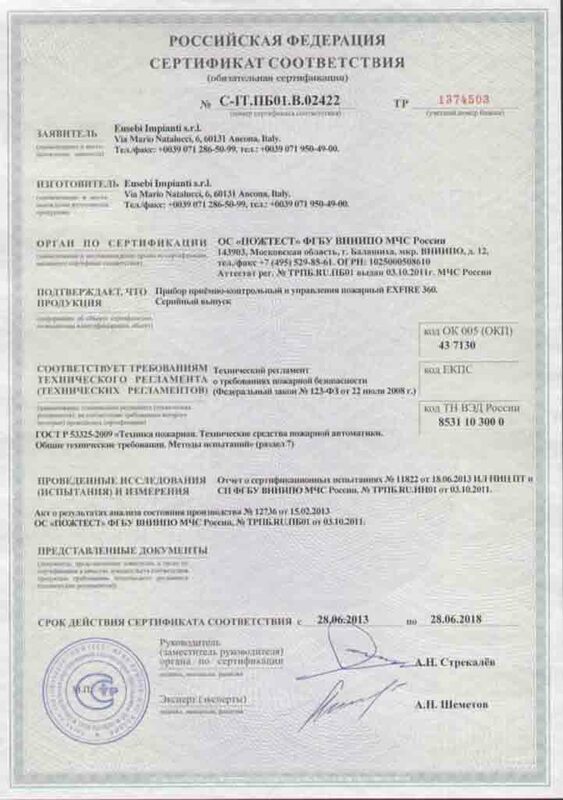 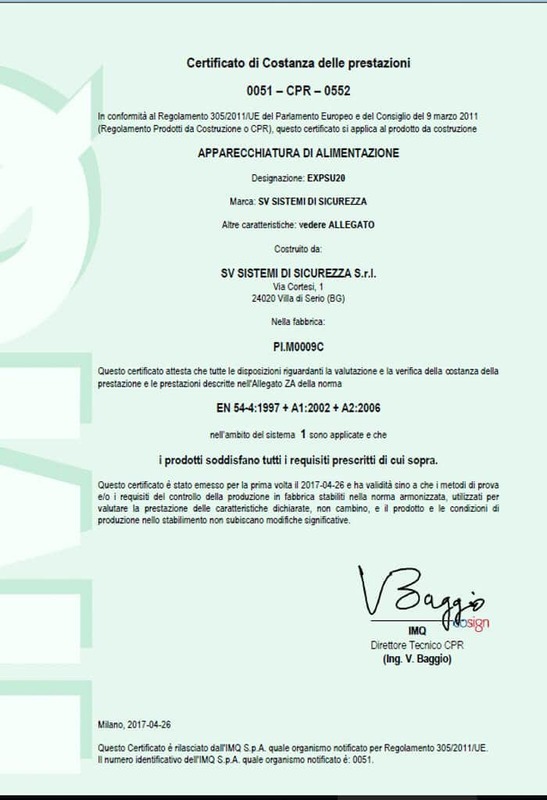 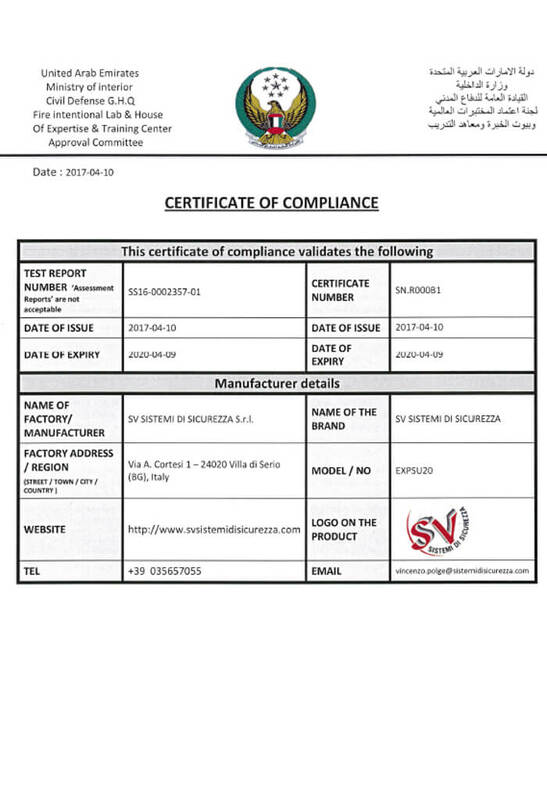 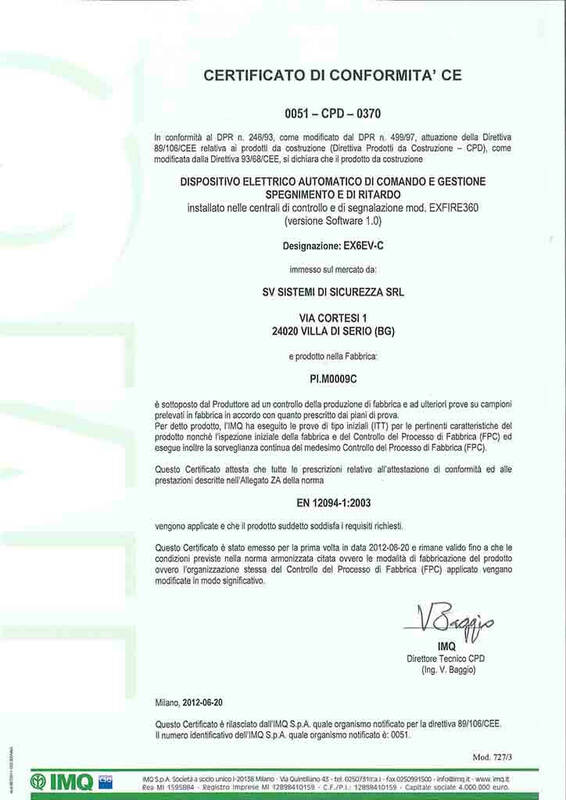 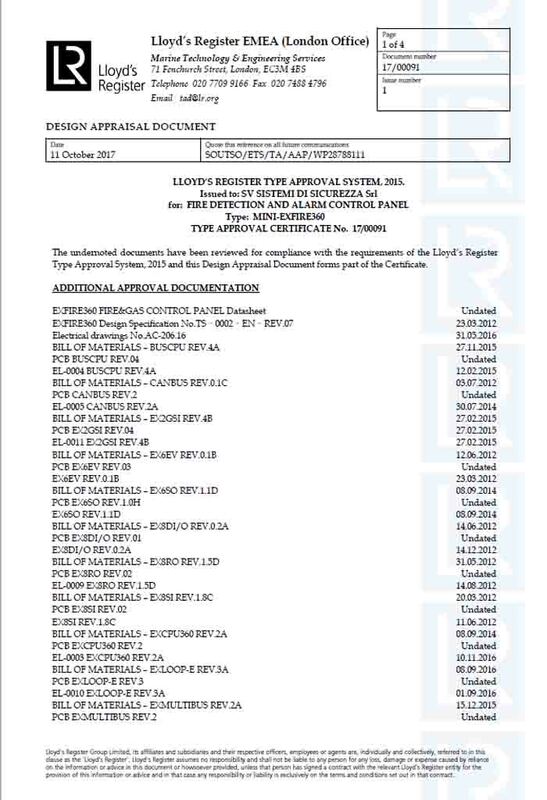 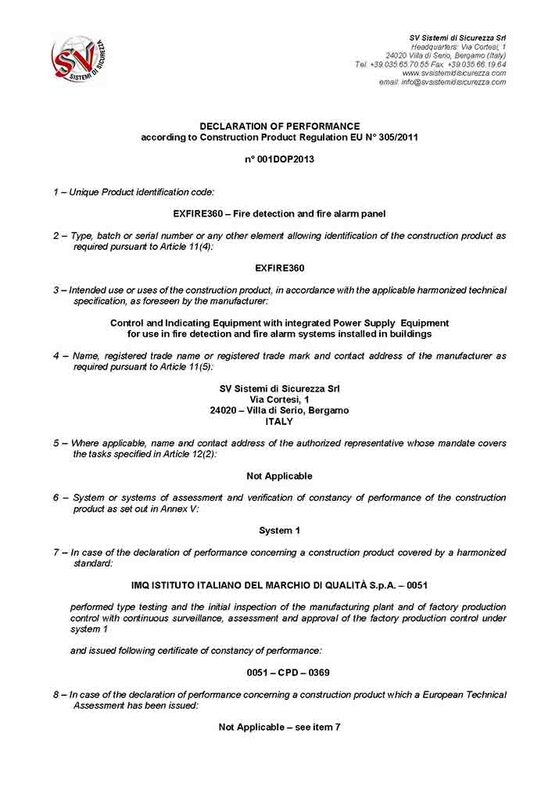 The obtained attestation, the license and the awards, allow us to offer consultation to the Companies owners of business, warehouses, high-risk plants whose projects are subject to examination and prior opinion of the provincial command of the fire and whose plans are subjected to visit and check for the issue of the “Certificate of fire prevention” (according to Presidential Decree 151/2011). 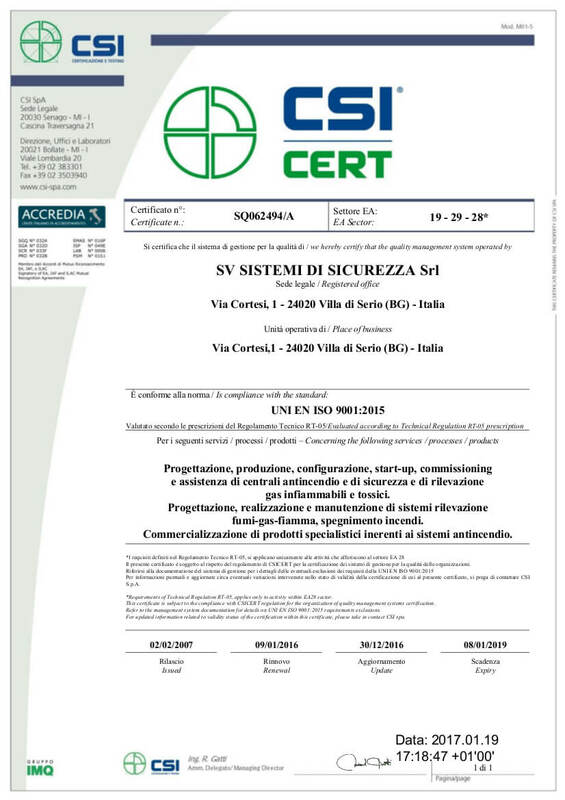 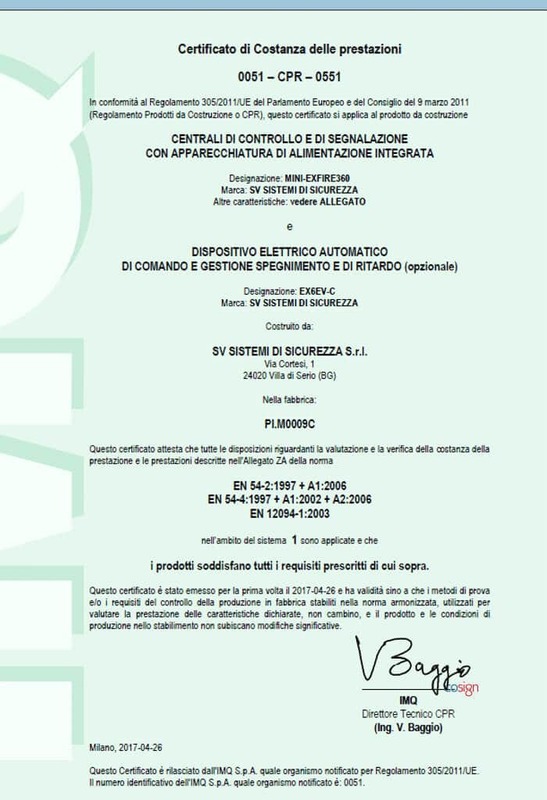 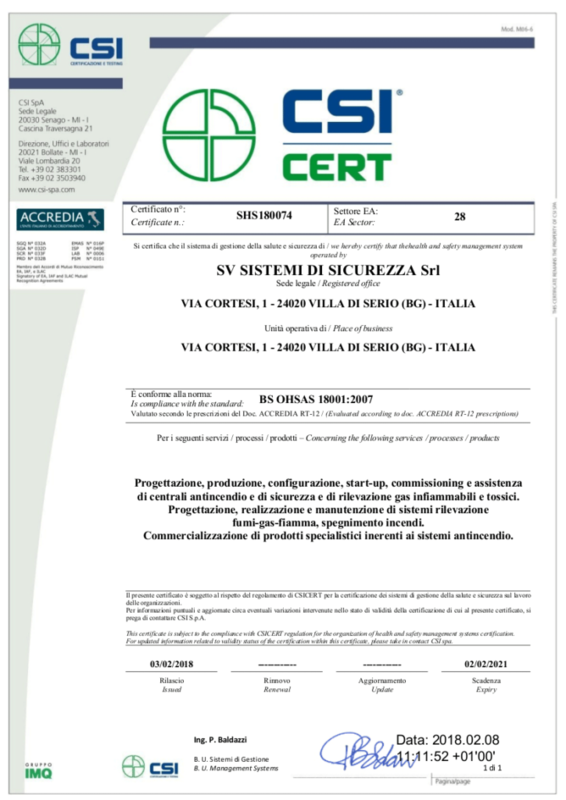 SV Sistemi di Sicurezza?is a partner since 2009 of UNI and it is part of Technician Authority U700004 dedicated to automatic fire detection systems. 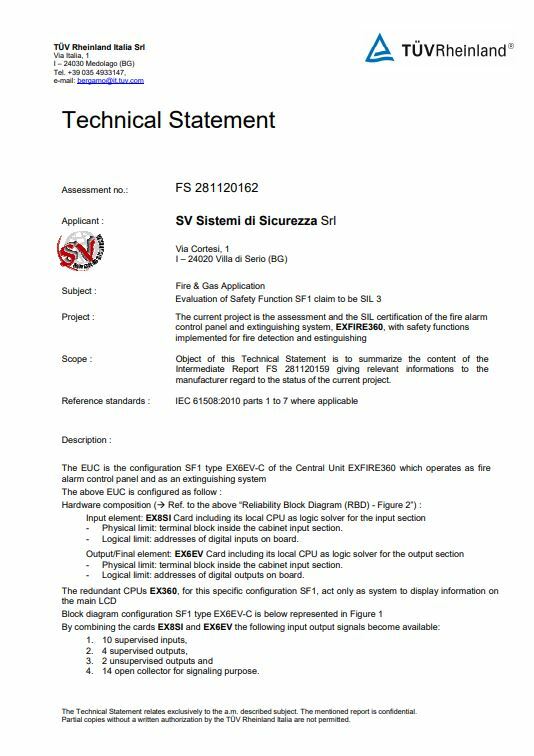 This body processes the national technical standard related to design, installation, operation and maintenance of fire detection systems and it implements the harmonized legislation.